Parent Interviews gives your staff the tools they need to manage their parent interviews with ease. Ditch the paper forms and allow your parents and staff to organize their parent-teacher interviews online. Customise your event down to the smallest detail to suit your needs, and we'll take care of the rest. A single event code is all parents and caregivers need to book their interviews online. No need to send parent booking forms home. Receive up-to-date information about your bookings from your computer or smartphone. Spend less time sorting out event timetables, as Parent Interviews manages everything for your parents and staff. Drive parent engagement with their child's teachers by keeping them informed. 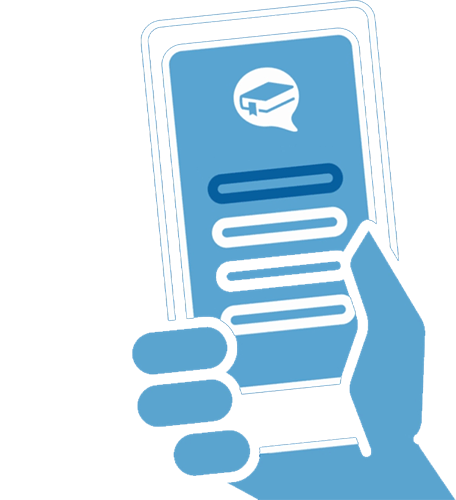 Text message and email reminders helps ensure parents and staff know when, where, and what teachers and subjects their bookings are for. Parent Interviews is designed to simplify the process of running parent-teacher conferences. Our goal is to help your school save time and money by streamlining the process of organising and running an event. By shifting away from a paper-based system, your school can increase efficiency and not have to deal with organizing timetables or parent forms, and increase parent engagement with your events. Request a free demo of Parent Interviews today and see how it could save your school time and money. Reduce no-shows through our automated reminders. Parents and staff can get a text message or email with their timetable before the event. Run as many events as required at once with their own dates, locations, or staff, such as separate junior/senior interviews. Upload maps of your school so parents can find their way around your campus to their bookings. Bookings can be held in a single location or staff can be split up into their own classrooms. Your interviews can either be one-on-one, or multiple caregivers can book a time slot with a teacher. Customise the booking portal used by parents and caregivers to match your school's branding. Interviews can include a comment so that teachers know exactly what the parent wants to discuss. Administration staff can easily import new teachers into your account via spreadsheet or directly from your student management system. No forms to send home or timetables to organize for staff as everything is managed through our secure online portal. Ready to get started with Parent Interviews? © 2019 Learnspring Limited. All rights reserved.